PS I Love You’s signature February event “Dark & Delicious” is on the road! PS I Love You: Time for Dark and Delicious and a Glass of Rock Wall Petite Sirah! One of the best ways to get to know a type of wine is to taste a whole lot of them at the same time. And the best way to discover which wines pair with which foods is, again, to taste a lot of foods with that wine! Coming to your rescue on Friday, February 20, 2015 from 6-9pm at Rock Wall Wine Company in Alameda CA is DARK & DELICIOUS, the preeminent, Petite Sirah event organized by PS I Love You, Inc, a Petite Sirah advocacy group. 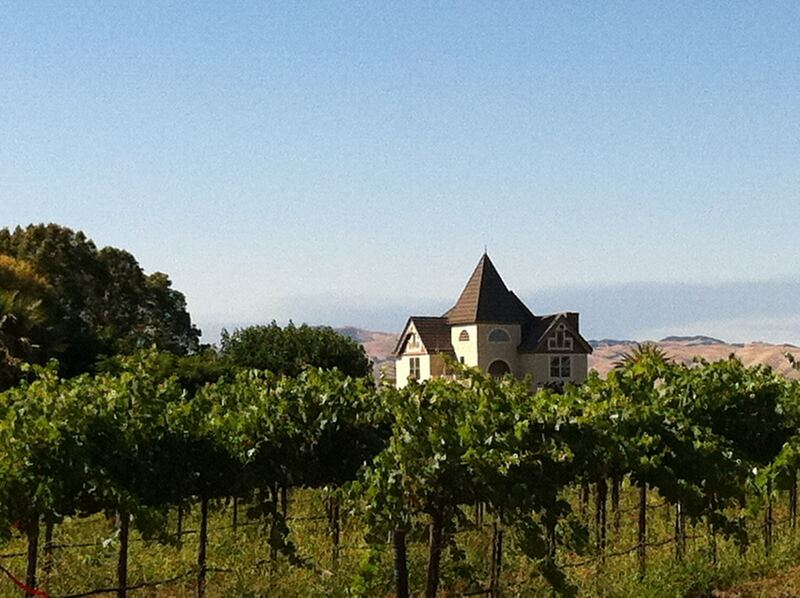 In Praise of Petite Sirah: PS I Love You, Old Creek Ranch Winery + Four Brix! Every third Friday in February, 800 or so Petite Sirah enthusiasts gather at Rockwall Winery in Alameda CA to sing the praises of Petite Sirah at the always sold out in advance PS I Love You event, Dark and Delicious which features 50 some dark Petite Sirahs paired with 25 or more delicious dishes. Tickets are $65–and if you want one, you better buy it immediately! Since Que Syrah Sue and I can not make it up north for the festivities, we decided to have our own Dark and Delicious evening at my house in Ventura. We each brought one of our favorite Ventura County winery Petite Sirahs to the table along with various cheeses and other bites. Isn’t the internet grand? I can participate in wine events in two different countries in 48 hours and still sleep in my own bed! 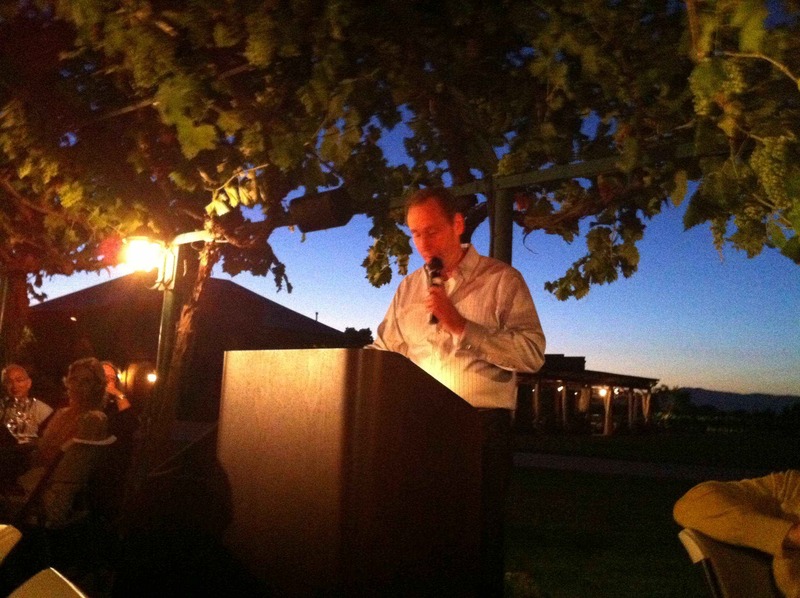 Here’s a few more events for February Fun–celebrating wines from Bordeaux then Petit Sirah! Last year I had such a great time at PS I Love You’s Dark and Delicious event held at the Rosenblum’s Rock Wall Winery in Alameda tasting an amazing collection of Petite Sirahs paired with delectable bites from prestigious restaurants from throughout the San Francisco Bay Area. A few wineries, like Twisted Oak, also shared verticals of their Petite Sirahs. It’s always fun and insightful to taste through the years of a particular varietal. 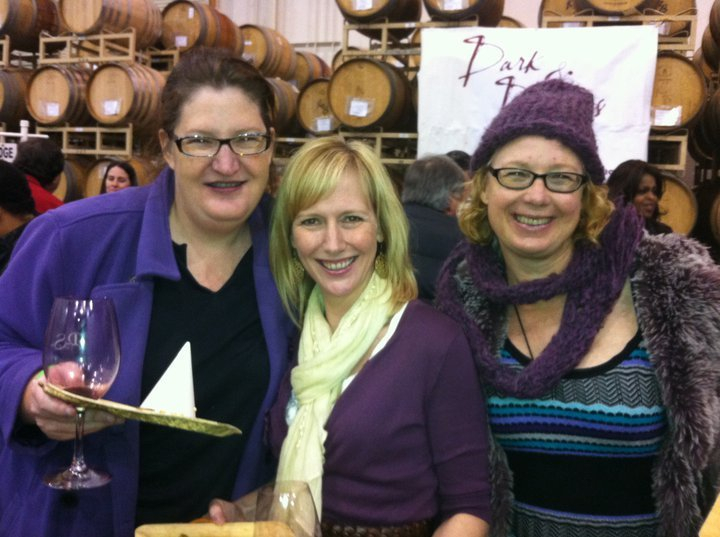 Of course that’s me with the purple teeth in this picture from last year’s event with my new friend Jerae-Ione Knutson aka Red Wine Girl and Thea Dwelle of the blog Luscious Lushes and on Twitter as WineBratSF. Oh, we ALL have purple teeth–that’s Petite Sirah for you! Since this year I’m missing out on all the fun, fine wine, and tasty bites that’s going on tomorrow, I decided in honor of this year’s Dark and Delicious to open three wines from the original King of Petite Sirah, Concannon. 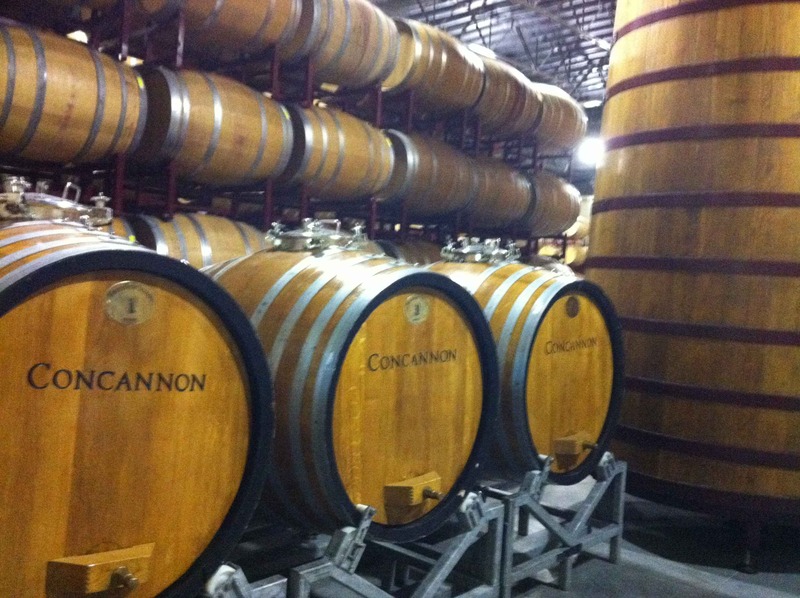 The Concannons started farming, growing wine grapes, and making wine in the Livermore valley in 1883. Over 50 years ago, they started growing and making Petite Sirah as a single varietal. While most vintners use Petite Sirah as a blending grape, the Concannons believed in the varietal and bottled it alone to showcase its depth, color and richness. Jim Concannon, who I met at his big birthday shindig last summer (and where I tasted a TON of Petite Sirah! and more notes here), put Petite Sirah on the California map. As a tribute to his father, his son Jim, at the birthday bash, presented his father as well as the celebrants with his new blend, Crimson & Clover, which showcases Petite Sirah blended with Cabernet Sauvignon and Zinfandel. Annie Any-Day, Bacchus Schmaccus, Marshall Moneybags and I gathered recently to enjoy a steak dinner and to taste the 2009 Crimson & Clover plus the 2007 and 2008 Conservancy Petite Sirahs, all media samples which retail at under $20 and with alcohols from 13.5-13.7%. 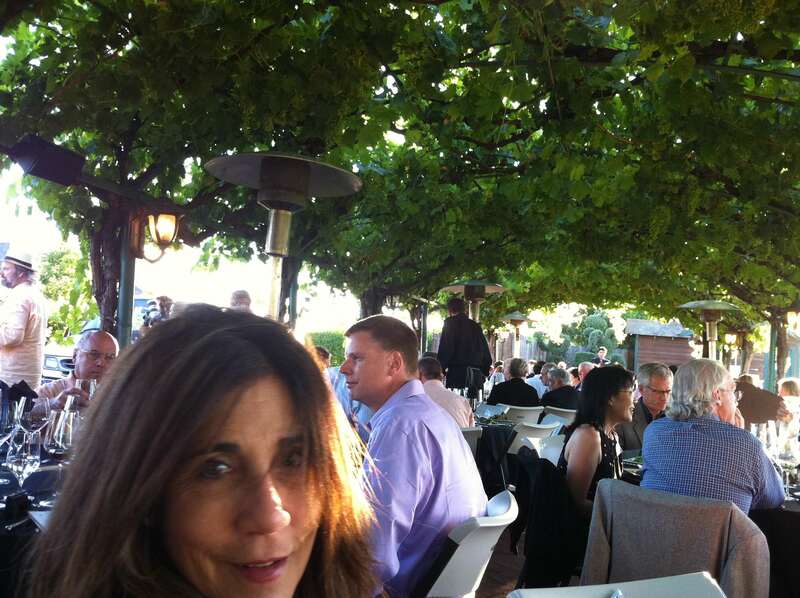 We served seared steaks, baked potatoes, asparagas and thoroughly enjoyed the wines and the time. The Crimson & Clover Concannon Conservancy 2009 is sweet to start with dryness on finish, black cherry fruit overtones, tannin skin nose, adequate balance with enough complexity to keep it interesting. Tasted with cheeses: good with brie and mushroom cheese, ok with italian truffle cheese, and GREAT with chocolate cheddar. The color of Draculas blood and reminiscent of gothic churches. “I want to drink your blood,” we teased. I usually avoid writing the kind of blog post that just lists a bunch of wines. And I think story telling is my strength. But sometimes it is necessary to just resort to a few keys words to convey a story about wine when you’re trying to talk about many wines. In this case, many bottles of wine–but they’re all Petite Sirah. I am trying to remember if I’ve ever been to a tasting of one varietal like this other than Dark & Delicious which is also Petite Sirah and I’m scratching my head. I’ve been to New Zealand new release tastings where there was mostly sauvignon blanc and Pinot noir…but that wasn’t the point of the tasting. I went away from Tuesday’s PS I Love You Petite Sirah symposium and tasting flabbergasted at how different these wines can be based on terroir and wine maker style and vintage and more. To suss out terroir a bit more, instead of organizing the tasting alphabetically, I’d love to attend a Petite Sirah tasting organized by AVA! After over three weeks on the road, and tasting wine in Idaho, Walla Walla Washington and the Willamette Valley in Oregon, I made it Monday July 25 to Jim Concannon’s birthday dinner to celebrate his 80th and Petite Sirah at the PS I Love You Petite Sirah Symposium Tuesday July 26 at Concannon Winery in Livermore. (Links to participating wineries and those discussed below the jump; here’s a blog post by Jo Diaz about the events. Pictured below is Jim Concannon’s son John honoring him; pictured above is Karen Leslie who sat next to me). What to eat with your Petite? If a summer time dinner or lunch outside under the table grape arbor at Concannon is any indication, it’s barbeque tri-tip, chicken, and beans! Since there are different styles of Petite sirah, the question really is which style goes with which food. A basic rule of thumb is to match or contrast–match heavy meals with heavier wine styles, match flavor profiles or contrast them. Avoid pairing delicate dishes (like sole) with a powerful wine like Petite. How to gain creaminess with Petite Sirah? Landis suggest beef stroganoff paired with Rock Wall 2009. 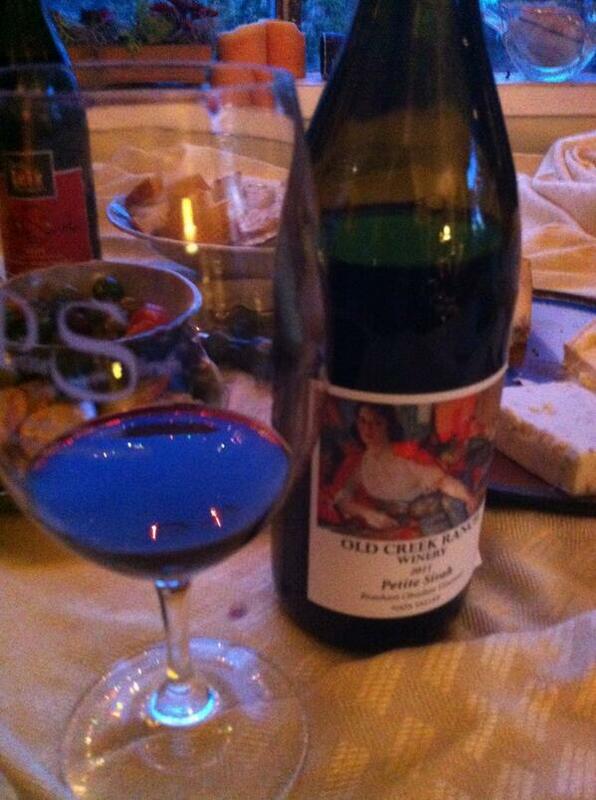 She also had specific suggestions of which Petite Sirah would go best with beef or pork tenderloin. At lunch I sat with Rock Wall winemaker Shauna Rosenblum (and yes I will be blogging about her soon! What a great story!) and tasted her Rock Wall 2009 Gamble Ranch that afternoon. This wine retails at $30 and is very rich and creamy in a cream soda or root beer float kind of way, very spicy, maple syrup, and chocolate malt. Ellen Landis noted that the French pair red wines with fish–so don’t be afraid! She says try a blackened salmon with a PS; Ellen paired hers with a fruity Michael David PS which is 50% PS with 50% Petite verdot. While most of us think of Petite Sirah as going with meat, vegetarians can enjoy PS with eggplant parmagiana with a variety of petite sirah styles. PS stands up to the fullness of the sauce and the creamy mozzarella allows the tomato sauce to work well and not clash.